Our Gloucester County employment lawyers represent employees in all areas of employment law throughout the state of New Jersey. The Gloucester County discrimination lawyers of Smith Eibeler represent residents and individuals who work in Gloucester County in claims of Sexual Harassment, wrongful termination, Disability Discrimination, pregnancy discrimination, severance agreements, reasonable accommodation, equal pay violations, Unemployment Appeals and non-compete litigation. Our law firm is located in Monmouth County at the Bell Works building in Holmdel, New Jersey. Gloucester County is located in southwestern New Jersey and is bordered by Camden, Atlantic, Cumberland, and Salem counties. Gloucester County stretches from Westville in the north, Logan to the west, Monroe to the east, and Franklin to the south. The county borders Pennsylvania in the west. Gloucester County has a total area of 337.18 square miles, which includes 15.17 square miles of water. Henry Hudson first discovered the land that became Gloucester County in 1609, and the county was later founded in 1686. According to the 2010 Census, the total population of Gloucester County is 288,288 people, which is comprised of 104,271 households and 75,805 families. The median age of Gloucester County residents is 38.7 years old, and in 2000, the median income of each Gloucester County household was $54,273. According to Choose New Jersey, the largest ten employers in Gloucester County include Inspira Health Network, Kennedy Health Alliance, Rowan University, Missa Bay LLC, US FoodService, Exxonmobil Research and Engineering Co, LaBrea Bakery, Delaware Valley Wholesale Florist, Heritage Dairy Stores, and Johnson Matthey Chemicals. Gloucester County is home to several historic sites and other attractions. This includes Red Bank Battlefield, Washington Lake Park Amphitheater, Tinicum Rear Range Lighthouse, and the Pine Barrens Bird and Wildlife Trail. Several wineries are located in Gloucester County, such as Cedarvale Winery, Coda Rossa Winery, DiBella Winery, Heritage Vineyards, Summit City Farms, and Wagonhouse Winery. Gloucester County maintains several public outdoor recreational areas and parks. This includes the Greenwich Lake Park, James G. Atkinson Memorial Park, Scotland Run Park, Red Bank Battlefield Park, and Washington Lake Park. The Delaware River, the Great Egg Harbor River, and the Hospitality Branch all flow through the county. There are both public schools and private schools located in Gloucester County. A few of the best public high schools include Gloucester County Institute of Technology, Clearview Regional High School, Delsea Regional High School, and Kingsway Regional High School. The county also contains private schools such as Our Lady of Mercy Academy, Gloucester County Christian School, and Hollydell School. There are also institutions of higher education in the county, including Rowan University and Rowan College at Gloucester County, which serves as the county’s community college. Famous persons who live or have lived in Gloucester County include Corey Clement, Linda Fiorentino, Grace Helbig, Milt Plum, and Jimmy Rollins. Restaurants in the area include Val’s Seafood Trattoria, Fischer’s Pelican Restaurant, and Scarpinato’s Cucina & Catering. 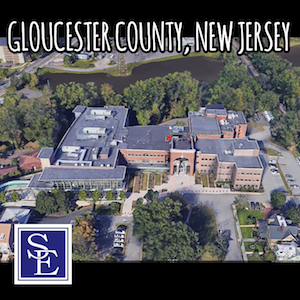 The Superior Court for Gloucester County is located at 70 Hunter Street, Woodbury, New Jersey. Our New Jersey employment lawyers can file a lawsuit and have it properly venued in Gloucester County if one of the parties lives in Gloucester County or if the employer regularly conducts business within Gloucester County. Should you or a family member have an employment related legal issue and are in need of a Gloucester County employment lawyer, please call our office today to discuss the facts and circumstances of your employment related legal issue.